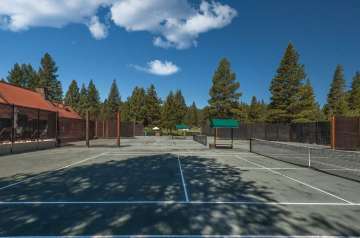 Located adjacent to Camp Lahontan and blessed by an abundance of clear, blue skies are our three outdoor tennis courts. After you’ve had your fill of volleys, simply head to the locker rooms and shower up. Afterward, find your way to Camp Lahontan for a snack and a drink.